There are a lot of peanut butter cookies out there, and I love them all! I’ve said this before, and I’m going to say it again……you know it’s a good cookie when they disappear fast! That’s exactly what happened when I made Gooey Butter Peanut Butter Cookies! What’s not to love about a cookie with butter in the name TWICE?! That’s enough to make me say……YIPPEE! My friends at SKIPPY® recently asked if I would create a peanut butter cookie recipe for an ultimate peanut butter-filled holiday. I’ll share with you how you can enter to win a lifetime supply of Skippy Peanut Butter or thousands of dollars a little later in this post. I don’t know about you…..but that would totally make our holiday fun. 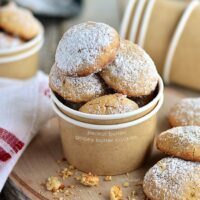 It’s no secret how much I LOVE all things gooey butter, and my husband practically bleeds peanut butter, so I thought I would make a Peanut Butter Gooey Butter Cookies, and it worked. 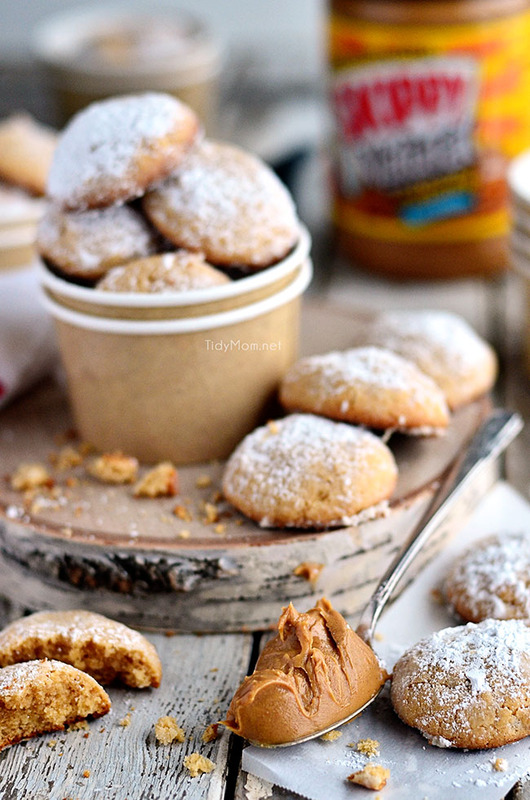 WHAT MAKES GOOEY BUTTER PEANUT BUTTER COOKIES SO DELICIOUS?! In the past, I’ve made Red Velvet Gooey Butter Cookies, so this time I just swapped out the red velvet cake mix for a yellow cake mix and added 1 cup of SKIPPY® Creamy Peanut Butter (I used their Roasted Honey Nut flavor) and it worked! I love that this peanut butter cookies recipe produces a soft cookie, unlike most peanut butter cookies that are usually crispy. Not that there is anything wrong with a nice crisp peanut butter cookie, but what I love most about this cake mix cookie is, how soft, delicate and almost cake like it is. I know they will make the perfect addition to our holiday cookie trays this year. It wouldn’t be the holidays without our favorite gooey butter cake and now we can enjoy gooey butter peanut butter cookies as well. What does a perfect YIPPEE holiday mean to you? Like this Gooey Butter Peanut Butter Cookie Recipe? Pin It! 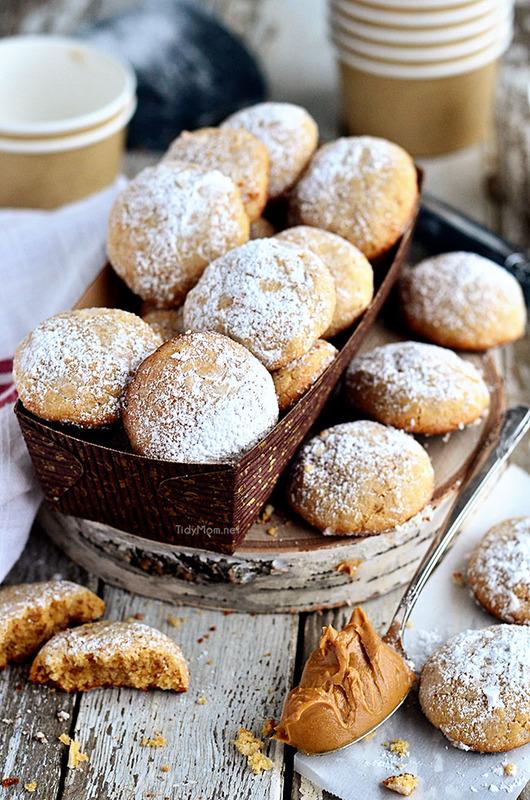 A peanut butter twist on the gooey butter cake made into a soft delicious cookie. In a large bowl, using an electric mixer, combine peanut butter, cream cheese and butter until fluffy. Add egg and vanilla, mix until completely incorporated, then add cake mix and continue mixing until a sticky dough forms. Using a cookie scoop, form one inch dough balls and roll into powdered sugar to coat. Place cookies 2 inches apart onto a parchment lined cookie sheet and bake for 10-12 minutes until centers are set. Let cool on pan for 1-2 minutes, then transfer to a wire rack to cool. 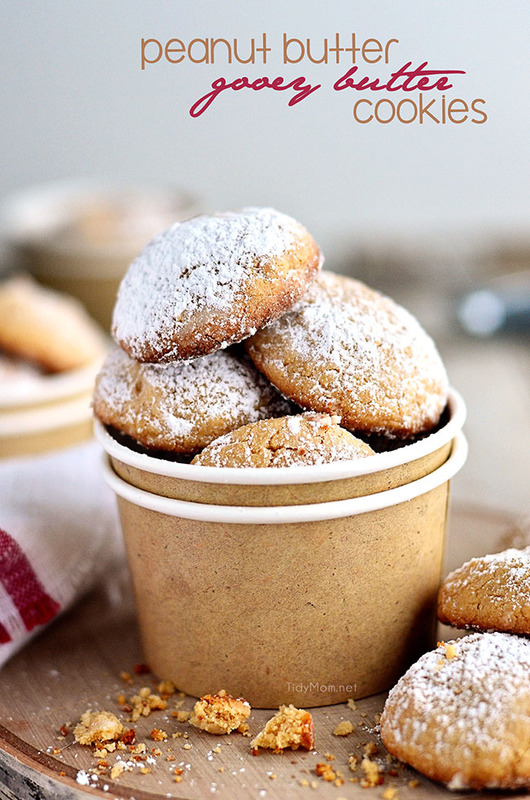 When completely cooled, dust with powdered sugar. Disclaimer: I have a working relationship with Skippy Peanut Butter. As always, all views and opinions, and love of peanut butter are my own. Peanut butter is like it’s own food group around my house. I can’t wait to try these cookies. Plus what a fun sweepstakes! 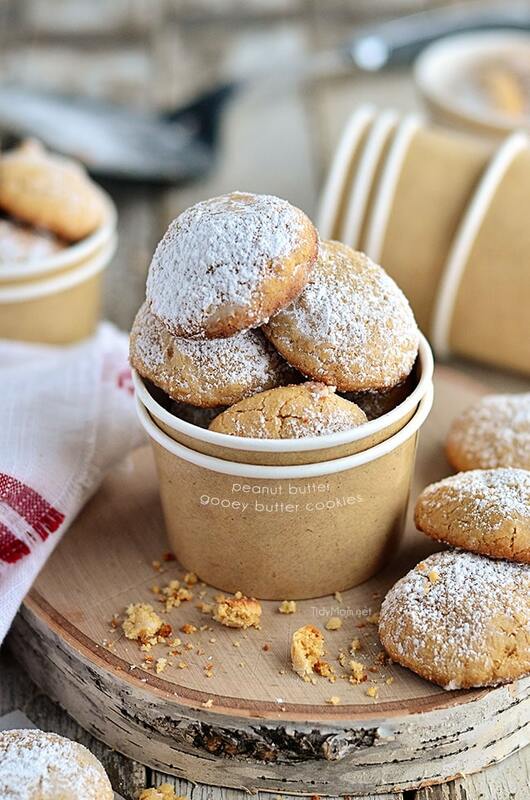 We love Skippy Peanut Butter and these cookies couldn’t look more delicious! Thanks for the info about the contest, I’ll definitely check it out. These look incredible!! Can’t wait to give them a try 🙂 LOVE Skippy! I love these Cheryl!! So amazing. Pinned! I absolutely love peanut butter and your gooey butter recipes! This will be another match made in kitchen heaven. Skippy is our favorite here, and PB anything is always a winner around my home. These would be gone in seconds. I’m making peanut butter cookies this week. Skippy all the way. Love it. 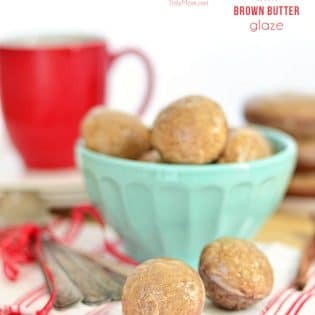 Definitely adding these to my holiday baking list! These look and sound spectacular!! Guess I’m baking cookies tonight! Thank you! Skippy is the end all of peanut butters isn’t it. It all begins and ends there and these cookies look so delicious! Peanut butter – just makes me smile. Although my kids are mostly grown now PB has always been a staple in our home. We all love peanut butter but no one loves it more than my daughter – now 24 yo. She took peanut butter to school for lunch in some form every day – as a dipper, stuffed into the hollowed out core of an apple, or the iconic PBJ sandwich. Nothing was as telling as when she packed to spend a year studying abroad in Versailles, France. She had a weight limit of what she could take – for a whole year of living. She packed, weighed her bag, re-packed, re-weighed, re-packed but never once did the 3-lb container of Skippy peanut butter come out of the suitcase! When we celebrated our 25th wedding anniversary with a trip to visit her peanut butter was again in the suitcase to tide her over until she returned home! Nothing beats a classic peanut butter cookies.. wish I had one of these in front of me right now, they look SO delicious! I love Peanut butter.. This cookies look gorgeous! ! I can eat a dozen of this cookies in a go. Yumm!! These sound amazing! The more peanut butter the better!! Yum! These look like delicious cookies, and your photos are beautiful. Plus, the fact that they’re easy means that they are ideal for this busy time of year. Awesome, Cheryl! Pinned! These cookies are incredibly delicious! Folks just love these cookies. “Like a little bit of heaven in your mouth”.Thanks for sharing..
Peanut butter, cream cheese and butter.